Recently I promised myself I would wear a facial SPF 50 in some form every day that I'm outside, all year round. I was looking for something that I could incorporate into my daily routine easily and that would benefit my skin in other ways. My other facial sunscreens from my holiday last year had since gone out of date so I needed something to take me into this Summer. 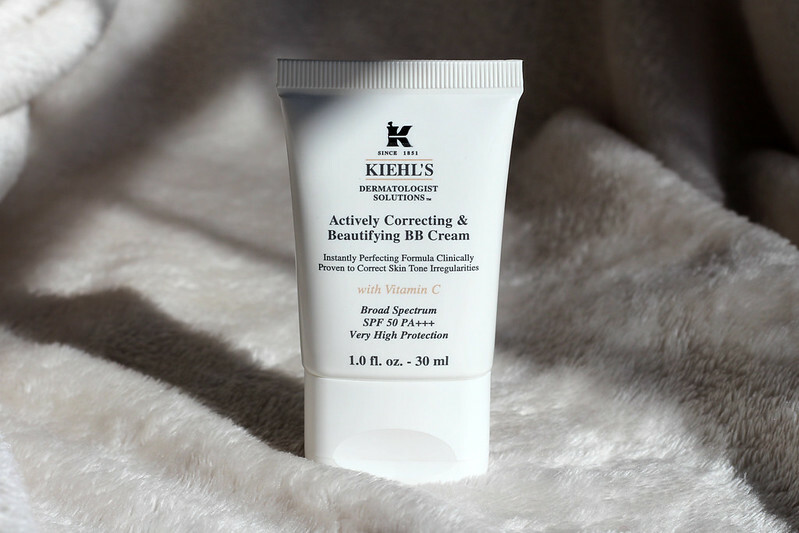 I decided on the Kiehls Actively Correcting & Beautifying BB Cream after hearing so much about it over the years. 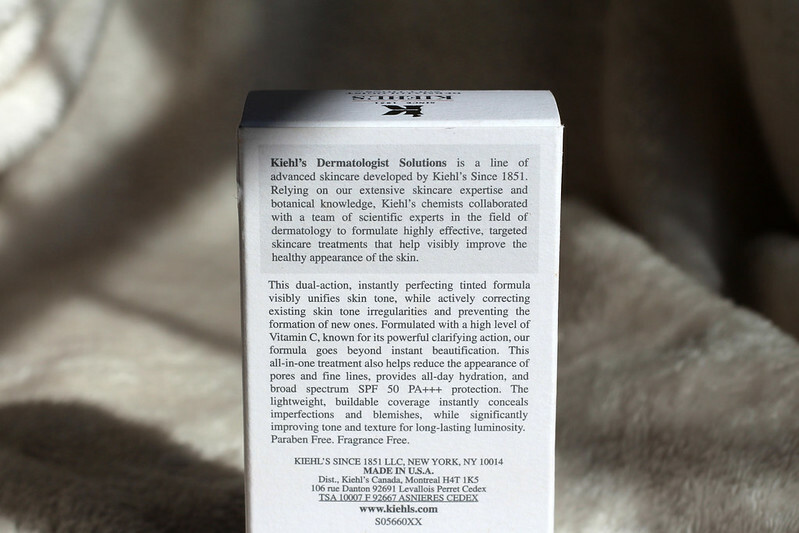 The girls at Kiehls recommended it highly and told me it that can be used alone or underneath your usual foundation. 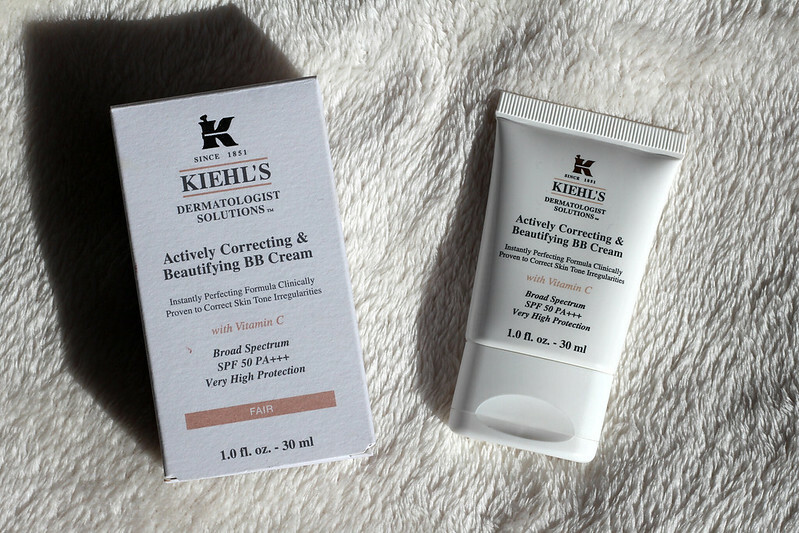 This is a two in one treatment because it's both a broad spectrum SPF 50 but it also has a tint that unifies and corrects the skin tone. It has a high level of Vitamin C which brightens and clarifies the skin. The formula helps to reduce fine lines and the appearance of pores as well as providing long lasting hydration and improving texture. For anyone that doesn't quite understand it, broad spectrum means that it protects against both UVA and UVB rays. UVA rays penetrate the skin more deeply and are the main cause of skin aging and contribute to the development of skin cancer, they are what cause the skin to tan. They are present all day even during the Winter months which is why it is so important to wear SPF all year round if you're going to be outside. UVB rays however are what cause sunburn on the skins superficial layers and are key in the development of skin cancer as well as contributing to tanning and aging, they are most prevalent from April to October during the middle of the day (from 10am-4pm), but again they can damage you skin all year round. PA+++ basically means that the product provides very high protection against UVA rays. I'm such a sunscreen fanatic. When I'm on holidays I wear SPF 50 all over my body including face and I reapply frequently. I'm very fair skinned so I burn easily and I need this high protection from the sun. However it's so easy to forget that your skin can be damaged during the Winter months too, even if it's cloudy. I'm definitely guilty of forgetting this which is why I've been making myself wear some kind of SPF 50 on my face and neck for the past few months every day that I know I'll be outside for a while. Every single time a skincare expert is asked what their best advice is for having good skin or preventing premature ageing, the answer is always to stay out of the sun or use high sun protection. It's something that's so easy to do but also so easy to forget. Most people like to look tanned when they come back from a holiday but really the only way to looked tanned in a healthy way is to use fake tan. Save yourself the expense of having to buy loads of anti-aging skincare prematurely and just use a high protection sunscreen now! 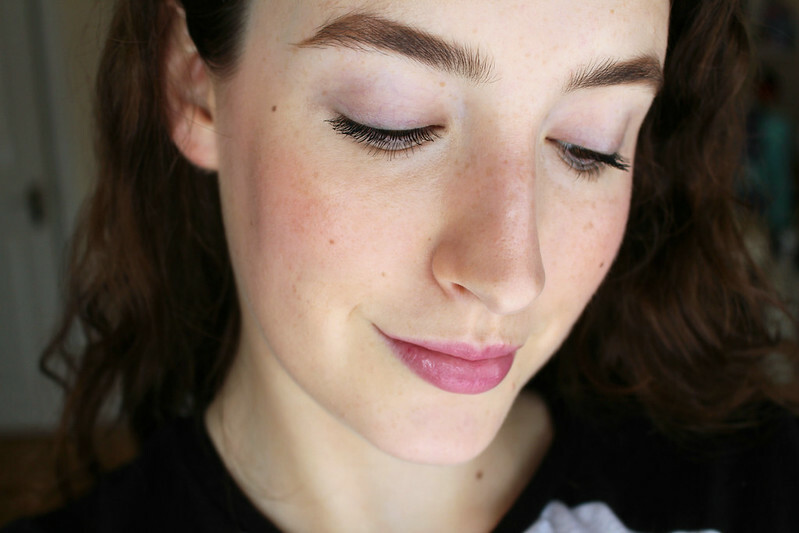 I was very surprised by the amount of coverage this BB Cream gave my skin. As you can see below it really does even out the skin tone and help with pore visibility. You will need extra concealer if you have particularly red spots or blemishes but apart from that I've been very impressed by this product. If you're oily you might want to powder but I tend to just use blotting papers instead because I've been enjoying the look of not using powder recently. The only negative I can think of is the scent which is that slightly sunscreen scent mixed with Vitamin C which can be quite strong too. It doesn't bother me at all but you might want to give it a sniff before buying it just in case. It comes in five shades, I have the lightest one which is Fair and it's a perfect colour match for me. 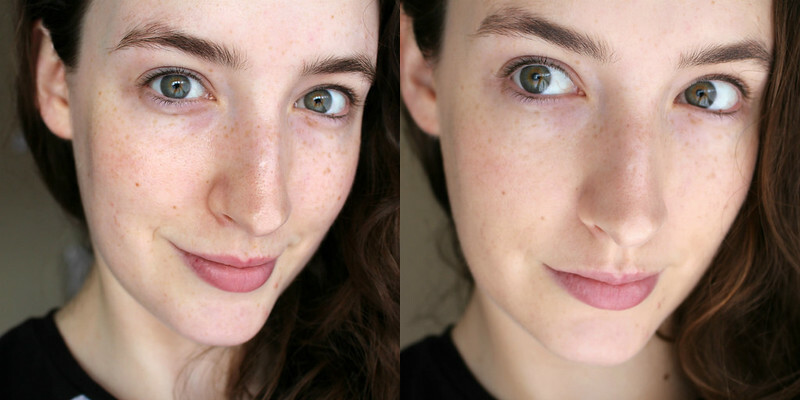 I wear it both ways depending on the coverage I need, it works perfectly alone and underneath any of my foundations. Just be aware that if you're having your photo taken with a flash it may be an issue but that shouldn't be a problem because it's not the kind of product you'd wear on a night out. I'll definitely be wearing this all Summer when I don't need too much coverage. I also have the Ultra Light Daily UV Defence which is a great alternative if you don't want the tint element. I love how easy this is to use, it blends in quickly and evenly and it means I have my sun protection and coverage in one and significantly streamlines my makeup routine. There are plenty of brands that make excellent sun protection protects, some of my favourites include La Roche-Posay, Bioderma and Eucerin all of which are very affordable. This is priced at €30 for 30ml, but worth every cent. Think of the money you'll be saving on skincare or other anti-aging methods in the long term. What are some of your favourite sun protection products?